I'm still feeling a bit nostalgic today. 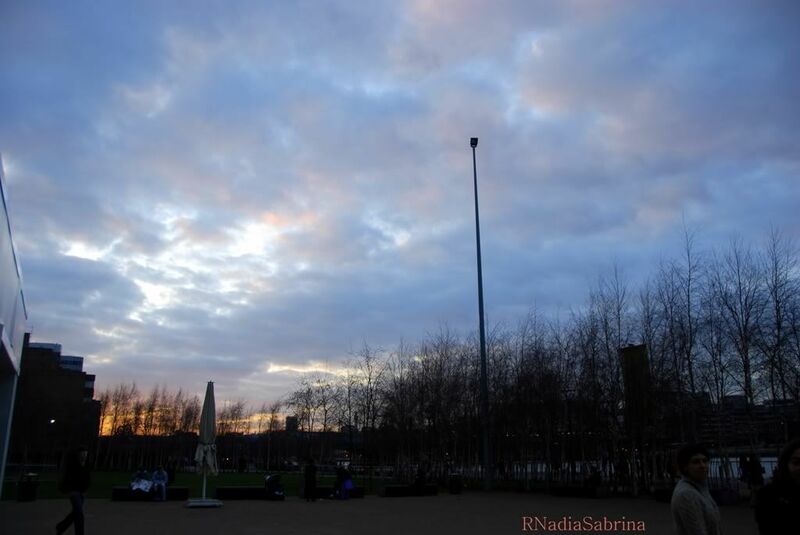 So in continuation to my previous post, I think I'll blog about my sojourn in London for about a month in March 2009. I was there to help organize an art exhibition for R A Fine Arts called Mad[e] in Malaysia in an art gallery in London showcasing Amir Zainorin's interesting pop-art works. 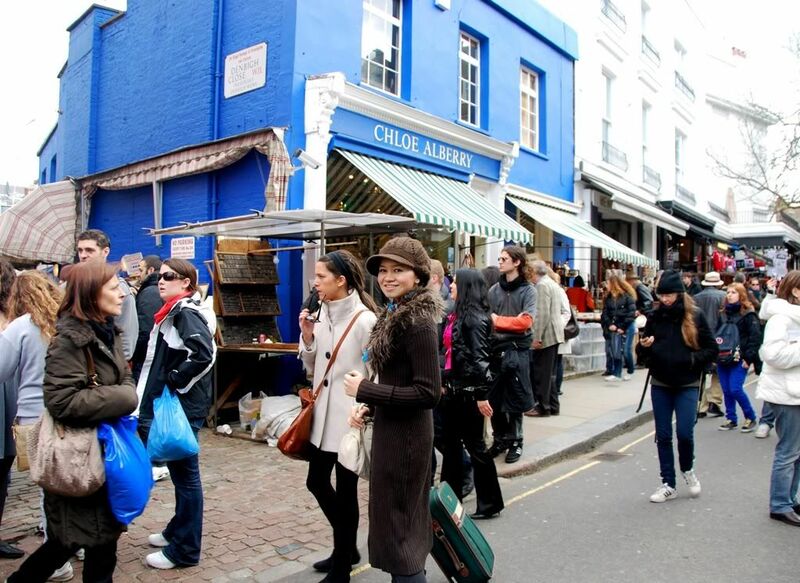 Anyways, during one of our off-days (yes, it was kind of a working trip but a really enjoyable one), I went to visit the world's largest antiques market, the Portobello Road Market at Notting Hill and also the Tate Modern, British and International Modern and Contemporary Art. Since we stayed in Bayswater, and it was a warm sunny day (a welcome respite from the mostly gloomy and rainy weather) we decided to walk to Portobello. 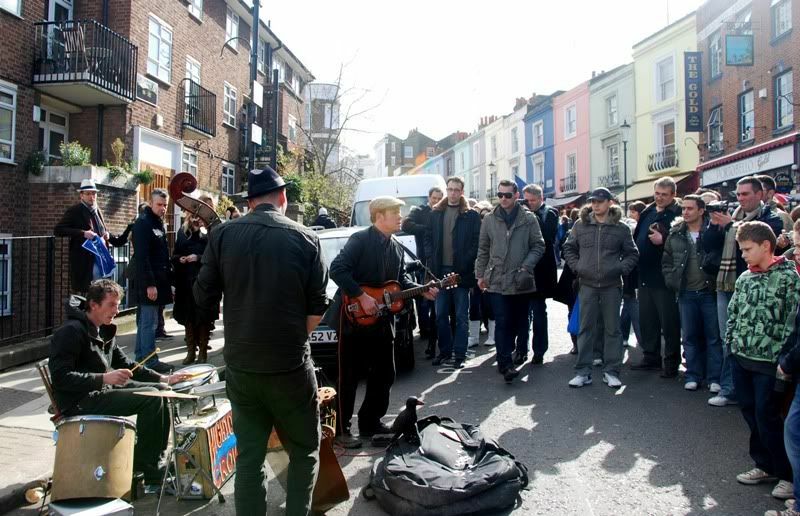 Portobello is a very popular spot and had lots of antiques and vintage items which were sold there. It is a very long (VERY LONG) stretch of road with shops selling all sorts of stuffs. 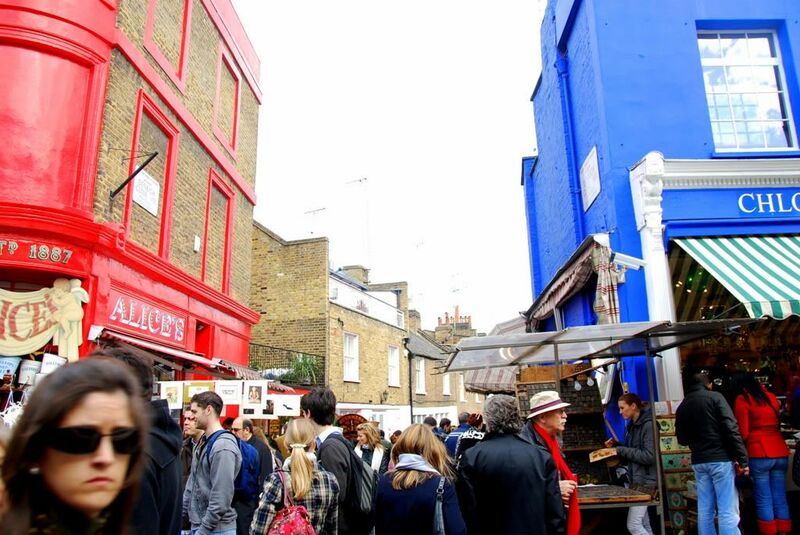 From old photos, books, clothes to watches to antique collectibles and what not, you're more than likely to find what you want in Portobello. 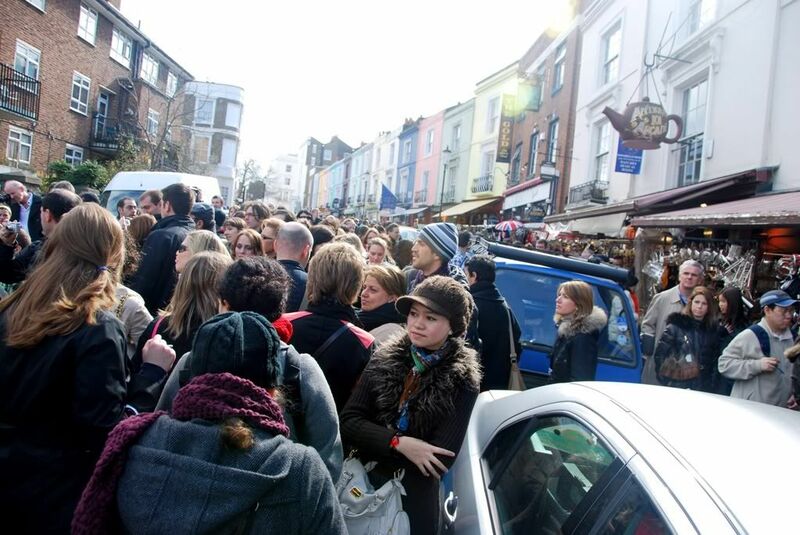 It was pretty packed that day and the market was absolutely full of people. There were some buskers too, and they were wonderful performers. I like how the (shop)houses in Portobello are painted in vibrant colours. Red, Blue, Yellow, Pink, it was very tastefully done. 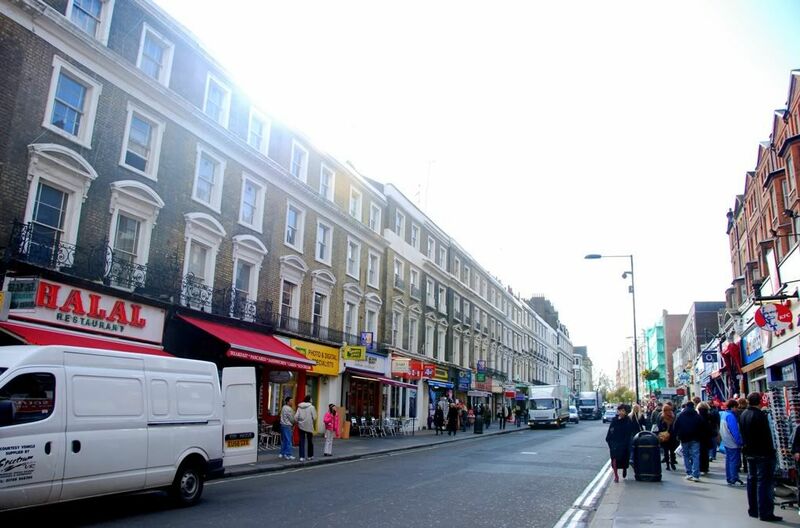 We had our breakfast/brunch/lunch at Portobello road at one of the fish and chips shops there. It was surprising to see that there were no tables there for us to eat, it was just take away. Apparently it is quite the norm there. The fish and chips were wrapped cone-shaped. So we had to eat the fish and chips (which was delicious) standing and at first we just stood outside the shop eating before we realized that it's better to just walk and explore Portobello while munching on the fish and chips. I bought a necklace and an old-fashioned pocket watch like the ones you see in movies! hehe. My dad also bought me a rare and antique watch from Ernest Borel cocktail collection from the 1950s. The watch has a freaky yet funky kaleidoscopic patterns and moving effect. It is unique and hypnotizing! haha and the watch does not run on batteries. I also bought a unique box bag of sorts. I can't properly explain it so maybe one day I'll take some pictures of it. 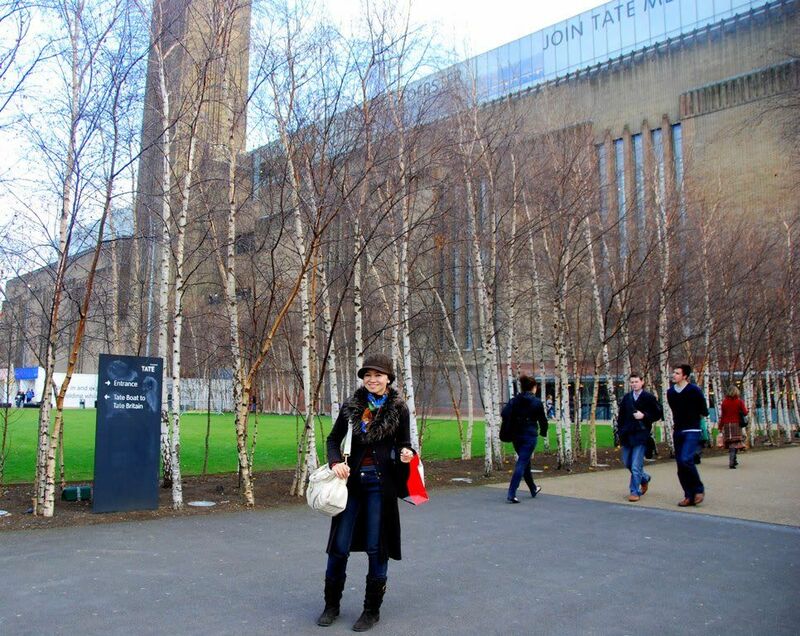 After we spent a few hours exploring the market, we then headed to Tate Modern by tube. 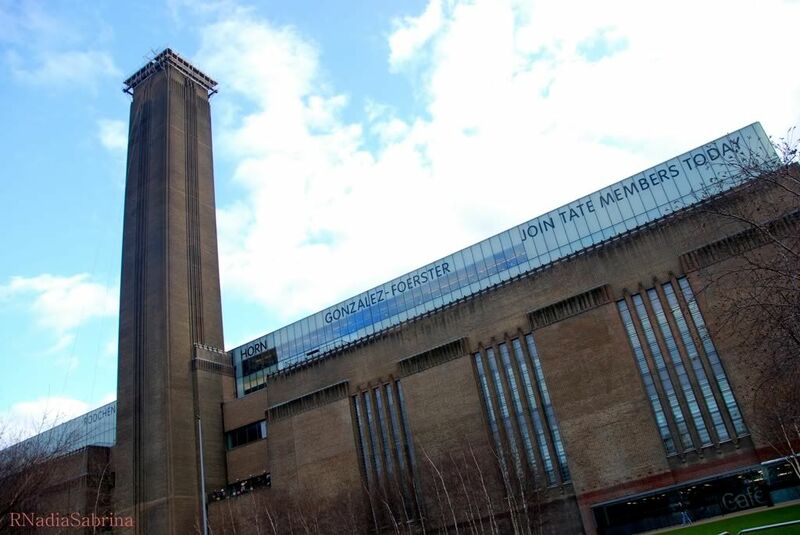 Tate Modern is a large Art museum/gallery. They hold contemporary art exhibitions and also hold some of the world's most famous paintings. There were hundreds of art pieces and creative installations. We spent hours there, and in particular admiring original works from Pablo Picasso, amongst others. And even though I was there for hours, I still felt it was not enough. I also think I saw some of Salvador Dali's work there, although I'm not sure whether it was here or the British Art museum. We weren't allowed to take pictures in the Tate which was so sad. I'd definitely go there again because there just wasn't enough time to absorb all the artworks on display there. 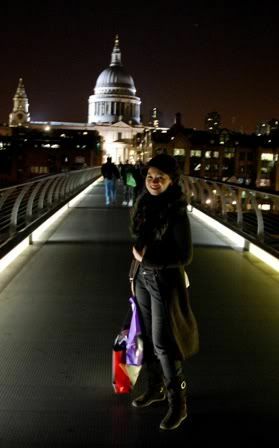 By the the time we left Tate Modern, it was already dark! Felt like we stepped out of a time-portal which fast-forwarded the day to a few hours. We couldn't believe it since we set out quite early in the morning! It was a day well spent and we were too tired from all the walking the whole day we felt like our legs dah tercabut. 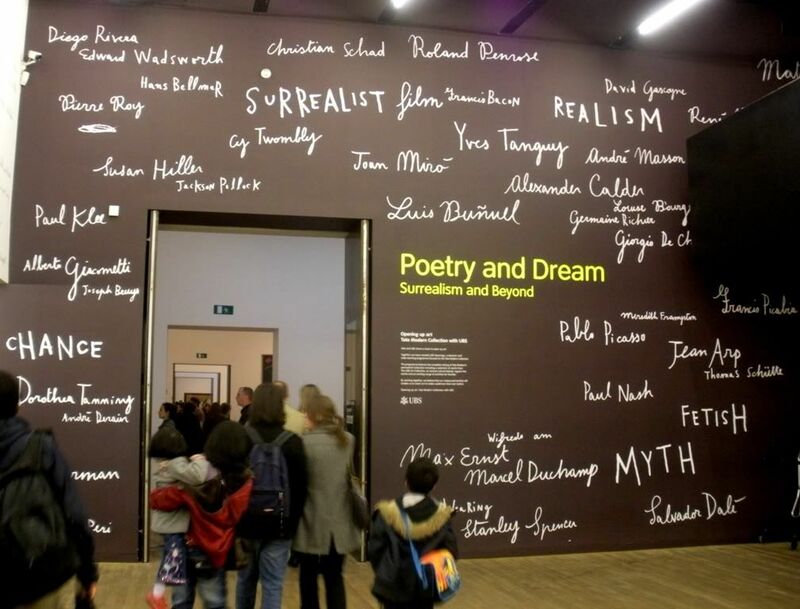 But the excitement of having visited the Tate was still buzzing. All in all, it was a great day (which was supposed to have been used for rest) but it was absolutely worth it. 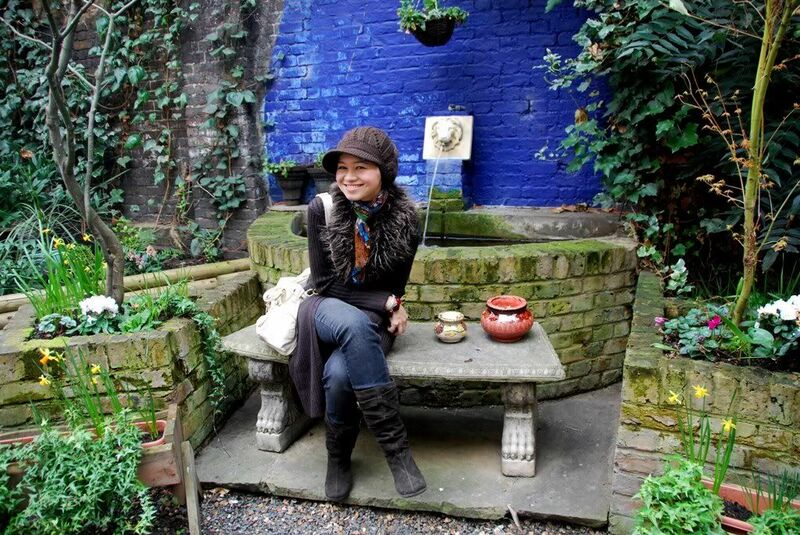 I'll post about my other experiences in London, some other time, yeah? Gosh, everything looks amazing! from ur uber-cool style, to the places u've been to!